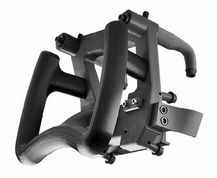 3D printing works with you from start to finish, Whether you’re testing out a bold new idea or you’re ready for digital manufacturing, Stratasys & Objet 3D Printer Systems build models and parts for every application along the way. Evaluate form. 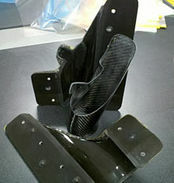 Test rubberlike grips on an ergonomic device. Thermoform a small batch of prototypes. Study the applications below or let us help make your advanced idea a reality. You’ll be surprised what 3D printing can do! Fibre–reinforced plastics are a group of composite materials consisting of a polymer matrix reinforced with fibers, that when combined together form a new material with physical properties exceeding those of either constituent material. 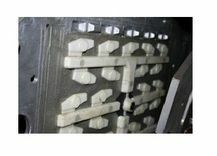 Fused Deposition Modelling (FDM) provides an alternative method for producing investment casting patterns that can provide dramatic time and cost savings. 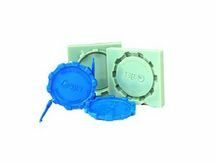 Hydroforming and rubber pad pressing use pressure to force sheet metal to take the form of a mold or die. 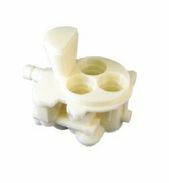 With 3D printing systems available from Stratasys, foundries can fabricate patterns with either Objet Polyjet technology or FDM Technology. 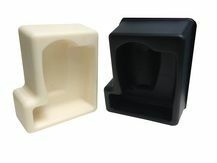 Objet PolyJet 3D Printing technology has modernized product design with the capability to jet multiple materials simultaneously to create prototypes with ready printed overmolded parts. 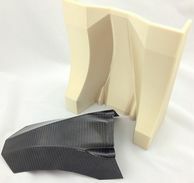 FDM soluble support material holds much more value than just being a support material for a 3d building process.